Volkswagon camper vans and caravelles – and assured used van centre. At Everbuild - A Sika Company we are passionate about the products we produce, we have always worked on the simple premise that Trade Users will only come back for good products, so that’s all we make! This simple philosophy combined with a commitment to invest in new product development and manufacturing infrastructure has seen Everbuild - A Sika Company grow into the UK’s leading sealant, adhesive and building chemical brand with sales in excess of £87 million and customers in over 70 countries. Everbuild - A Sika Company are owned by Sika AG, a globally active speciality chemicals company offering a comprehensive range of products, including waterproofing systems, sealing, bonding and speciality mortars etc, across many construction and associated sectors. Fenton Packaging Limited is a national packaging stockist and distributor, specialising in supplying a wide range of containers for powders, granules, pastes and liquids. The team at Fentons offers the expertise and experience needed to work with any company seeking metal, plastic and flexible packaging solutions. Highly reputable and well-established brokers known for offering highly competitive prices without compromising cover. Whether you are an individual or a large company, we would be delighted to help with your insurance arrangements. WHEB are specialists in all matters relating to pensions and auto enrolment, from straightforward advice through to total pension management solutions. Our Jargon Free software may just be the answer you are looking for! We offer a complete package of services in outdoor recreational development, golf course and pitch construction, sports turf maintenance, land drainage, environmental projects and equestrian facilities using the latest plant and machinery operated by a skilled workforce. The Flexitallic Group is the international market leader in the manufacture and supply of high quality, high value industrial static sealing products, delivering industrial gaskets on a global scale. Here at Custom Fittings we are internationally recognised as one of the leading stockists and manufacturers of stainless steel hose fittings, tube fittings and adaptors. Trading for over 30 years, our reputation for high quality products and devoted customer service is something we’ve worked extremely hard to maintain. From our base in Yorkshire, UK, we have Europe’s most comprehensive collection of high quality, stainless steel hose and tube fittings, and we also maintain high stock levels of raw materials and finished products to ensure your needs are met with a speedy delivery. For half a century we've been making ski and outdoor wear for all sorts of climates and conditions. Wherever it is in the world you want to go, we know what you'll need when you get there, because we've probably been there too. TOG 24 believes that everyone should discover life in their own way - whether it's a weekend escape or a travel adventure that lasts for years. This philosophy is at the core of everything we do. We are a down-to-earth, family-run, no fuss company. With us a promise is always a promise. We believe that quality of work begins with quality of character. That's why we select and test all our materials and designs ourselves. We make high-quality performance clothing and sell it at competitive prices. Hardgear are elite teamwear specialists with our senior staff members each having at least twenty-years of experience within the sportswear industry – representing international and high quality brands. As well as our wide range of branded products we also supply white label unbranded products. Hardgear services all sectors of the apparel market from universities, schools, academies, and sports clubs – through to corporate clothing and defence/civilian services. 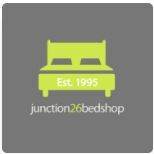 Independent bed and mattress specialists. Here at Greene King we've been crafting our beers since 1799.